In order to fit a double DIN stereo into your 3 Series, there’s more to think about than buying the hottest new unit; without the appropriate extras. your car’s dashboard will, at best, look like a shadow of its former self, and, at worst, not accept the stereo at all. That’s where our fitting solutions come in. The 3 Series has its own definitive look and feel inside the cockpit and there’s no reason why you should lose any of that factory style when upgrading. All of our kits come with a bespoke fascia panel, designed to fit seamlessly into your 3 Series dashboard and surround the new double DIN stereo. This panel is painted to match the factory dashboard with several colour options available, giving you the BMW look with your enhanced system. For the most possible stability, the panel is supplied with brackets or a cage depending on the model of your vehicle in order to secure the stereo in place and prevent any damage or disconnection when on the move. If you’re looking for a more complete solution with everything in one box, our complete installation kits are the product for you. These kits contain a fascia panel as well as additional accessories and wiring to provide the most seamless upgrade possible. As well as whole new trim pieces (where applicable) such as the ashtray button relocation panel supplied with our kits for the 2006 – 2012 3 Series, our kits contain one or more of our industry-leading interfaces which retain many of the vehicle’s key features which would ordinarily be lost when upgrading the stereo. Depending on your model, we support features including steering wheel controls, pick up/hang up from the steering wheel, parking sensor audio, USB, aux and more. DAB has long been prophesised as the future of radio transmission. Now, over twenty years since it was first introduced, it has come into its own. In many parts of the world, the infrastructure is now at a level that can rival or even surpass FM, giving drivers access to better, more consistent signals across longer distances and hundreds more stations to choose from. Our AutoDAB solutions have been developed as a direct response to the surge in demand for DAB across Europe over the last ten years, giving drivers of purely FM equipped vehicles a way to upgrade to DAB without changing their original system or investing in an expensive factory option. 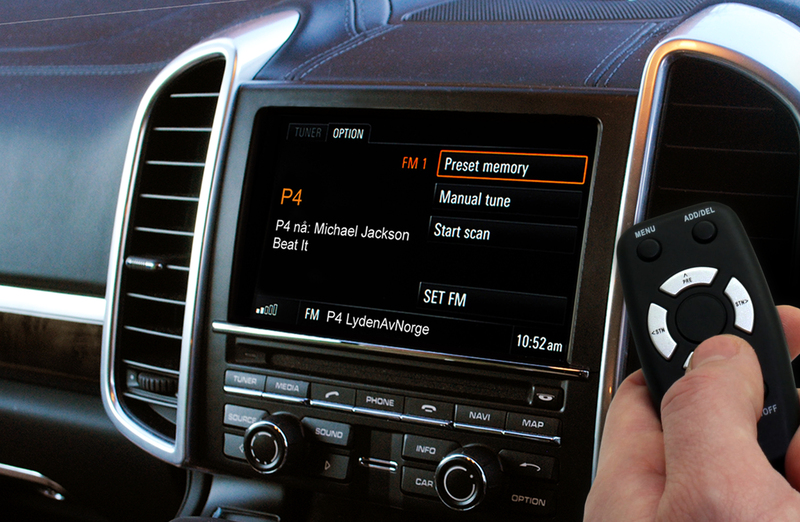 Simply fit the AutoDAB interface behind the dash, make the plug-and-play wiring connections to the vehicle, and enjoy digital radio. Additionally, the interface seamlessly integrates with the vehicle’s system allowing DAB to be controlled via the original steering wheel controls. The CTDAB-BM1 is the #1 most searched for car-specific DAB product on the Connects2 website, and for good reason; it works with a huge pool of BMW applications including 2006 – 2011 3 Series models equipped with the Business Professional or iDrive original units, making it an ideal choice for many different drivers. Ever wanted to get loads of new inputs in your 3 Series without the money and time investment of changing your stereo? Thousands of people every year are changing their OEM systems and spending a lot to replace what is a perfectly good stereo, in order to get access to updated features such as Aux, USB and Bluetooth. With Adaptiv, you can completely overhaul your 3 Series’ system without having to change a thing. Our original Adaptiv is a dynamic multimedia product designed to evolve your vehicle’s system without the need to change your original stereo. A simple installation of the interface will allow you to receive the benefits of beautifully rendered navigation, reverse camera connectivity, video playback, DAB radio, and a host of connection types for your devices including USB, Aux, SD and HDMI. For those looking for all the great functionality of Adaptiv without navigation, we also offer the Adaptiv lite. at a more affordable price point, and our new Adaptiv Mini focuses on providing drivers with two camera inputs and HDMI for the best compromise between price, form factor and functionality. To install any of our products into your car, you’ll need to disassemble part of the dashboard of your vehicle. Check out our YouTube channel for tutorials from our engineers on how to safety remove the stereo from your BMW.